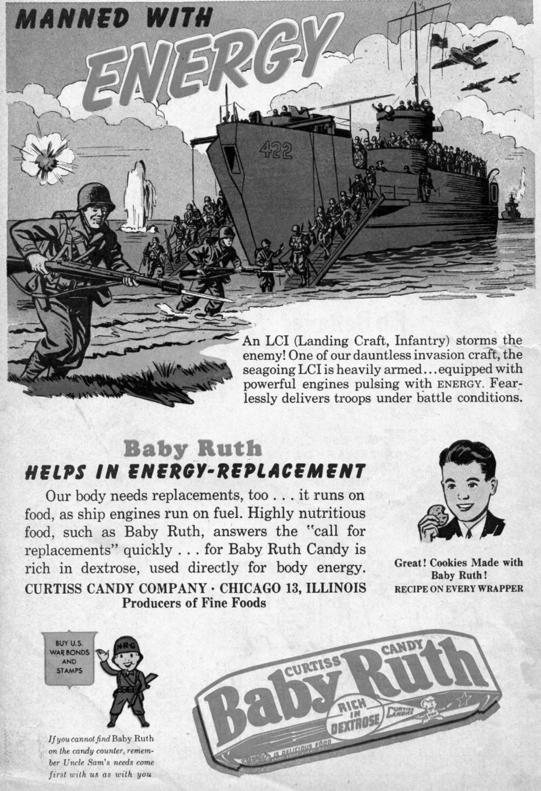 In the Campaign in the Pacific, LCI’s made a lot of smoke and provided a good cover for the “big boys,” the destroyers, the cruisers, and the battleships in anchorages. Making smoke protected the others from the Kamikazes but the LCI’s trailing the smoke were always outside that protective screen. And when the smoke generators caught on fire on a dark night, and they did frequently, the LCI became the brightly lit target for Kamikazes. Ralph I. Miller of McKinleyville, CA, who served aboard the LCI 805 said, “When making smoke, we became very good firefighters. We wanted to put that fire out in a hurry,” he said as he recalls his LCI service and particular the onslaughts of Kamikazes. Ralph entered the Navy on Aug. 26, 1943, and after boot camp in San Diego went to Farragut, ID for Signal School. Then it was out to Camp Pendleton, CA making amphibious landings with Marines. The landings were day and night, and sometimes after a landing they spent time digging foxholes and sleeping in them. Odd duty for a sailor. 806 exploded 23 magnetic mines. Then on April 6, 1945 Japan sent 700 suicide planes on the fleet. The first wave was 350 planes that came crashing in on our ships. After that they came 45 – 50 at a time. That lasted for four hours and during that time we lost hundreds, or thousands of sailors. When the planes hit a ship, the whole topside was engulfed in flames of high octane gas and bombs. The following day the Kamikazes came continually all day and the days after until the War ended. In those five months, we lost in excess of 200 ships and 7,000 sailors, some of whom were pulled from their gun mounts burned to a crisp. During that time Japan sent 4,528 suicide planes. One sunny day I went topside to get some fresh air. General Quarters were sounded and I was at my battle station looking at an enemy plane coming right at me, with his canopy open. He crashed in into the sea just short of our ship, was thrown out of his plane and landing almost on our ship. If that plane had hit our ship, I would not be here telling you about it. One afternoon a destroyer came into our harbor dropping depth charges looking for submarines. The next day I went topside next to the conning tower when I saw a splash astern. I thought, “We must have another sub in here.” Then I looked up and saw a Jap bomber that had dropped five bombs. None of them hit us but I decided I did not want to be topside. As I was headed down, General Quarters were sounded and all the crew was coming up. One sailor grabbed me and said, “Where are you going?” Did we ever get scared? You bet we did. Then on April 17 we supported the landing on Ie Shima. Before the War ended, we received orders for Leyte, Philippines for repairs and preparation for the invasion of Japan on Nov. 5. We had seen enough of it and wanted no part of it. Thank you, President Harry Truman, for dropping the A-Bombs. With War over our new destination was China after a stop in Okinawa. But three days out we ran into a three-day typhoon with 90-foot-high waves. The last night I received a message by flashing light to “break convoy and weather the storm as best you can.” Due to the giant waves, we kept going out of sight from each other so it took three hours to receive the message and send it to other ships. The next day we were off course by 400 miles. We finally made it to Okinawa and then Sintao, China, and finally to Manchuria. Three days later the Communists said they could no longer guarantee our protection. Our welcome worn out, we returned to Sintao. Early morning, Dec. 3, 1945, my name was called, “Hey Miller. Get your sea bag, you’re going home. 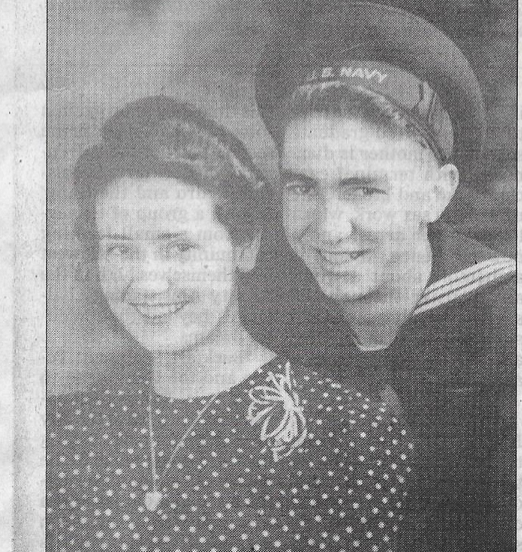 First San Diego, then on to San Francisco, Dec. 21, 1945 for he and his wife Jo Evelyn’s first anniversary. A happy ending. What a fantastic post, and such vivid imagery. So grateful for Mr. Miller’s service, and that of all U.S. sailors during the War.